The majority of data sets collected by researchers in all disciplines are multivariate, meaning that several measurements, observations, or recordings are taken on each of the units in the data set. These units might be human subjects, archaeological artifacts, countries, or a vast variety of other things. In a few cases, it may be sensible to isolate each variable and study it separately, but in most instances all the variables need to be examined simultaneously in order to fully grasp the structure and key features of the data. 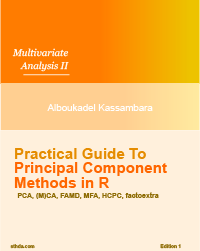 For this purpose, one or another method of multivariate analysis might be helpful, and it is with such methods that this book is largely concerned. Multivariate analysis includes methods both for describing and exploring such data and for making formal inferences about them. The aim of all the techniques is, in general sense, to display or extract the signal in the data in the presence of noise and to find out what the data show us in the midst of their apparent chaos. 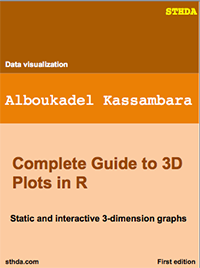 An Introduction to Applied Multivariate Analysis with R explores the correct application of these methods so as to extract as much information as possible from the data at hand, particularly as some type of graphical representation, via the R software. 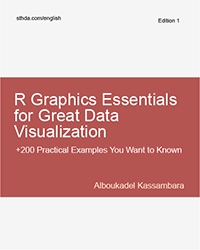 Throughout the book, the authors give many examples of R code used to apply the multivariate techniques to multivariate data.